To create glitter text first download the glitter samples from here. Then extract them to a folder in My Documents, this way you have your glitter samples ready for use when you need them. Open both PSP and Animation Shop. In Animation Shop open the glitter sample, then from the menu choose edit then select all, then edit and copy. 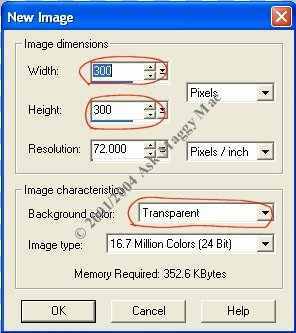 Go to PSP and right click on a blank area of the screen and select Paste AS Animation as Multiple Images. The frames will appear on your screen, mine appear in cascade format, but I moved them as you see on your left here so you can see three images. Click File then new, for a siggy I use the default of 300X300 but it can be smaller and set the background as transparent. See graphic on the right. Now click the text tool; it's the on the toolbar. 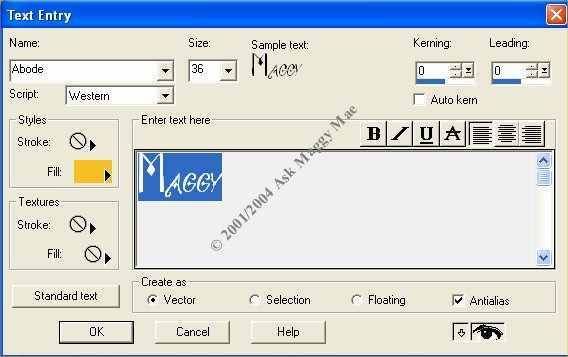 Select your font style and size and type in your text. Then click OK.
Now click the flood fill tool on your toolbar. Go to styles, and be sure that you have chosen pattern as circled in red in the next graphic Click on it and choose the first of your glitter samples that should appear in the window as shown below on the left. You will then see a window as the one below-right. Click OK and you are ready to fill your first of 3 graphics. Click on your text and the pattern will be added to it. Right click and choose cut, go to Animation Shop and right click and choose paste as new animation. 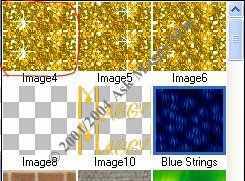 Return to PSP and go back to the styles and choose your second glitter sample as per the graphics above. Using the flood fill tool click on your second image until it is filled with the second glitter sample. Go back to Animation shop, right click on your first image and choose paste after current frame. 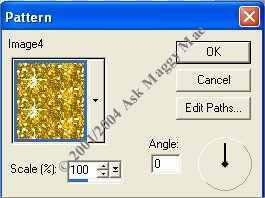 Return again to PSP and go back to the styles and choose your third glitter sample as per the graphics above. Using the flood fill tool click on your third image until it is filled with the second glitter sample. Go back to Animation shop, right click on your second image frame and choose paste after current frame. You will repeat these steps until finished if using glitter with more than 3 samples.